EMT Yadira Arroyo was killed Thursday after she was run over by her own ambulance. Jose Gonzalez has been arrested in her death. 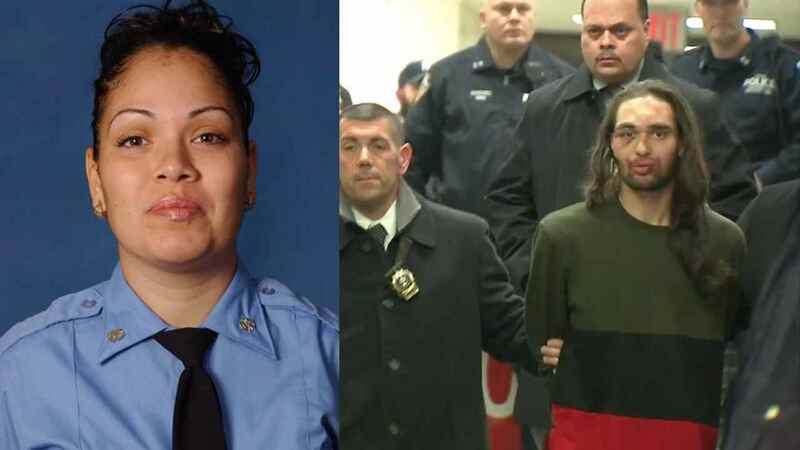 NEW YORK -- A man has been charged after an ambulance stolen in the Bronx Thursday was used to run over an EMT, killing her. According to the New York City Police Department, he is an emotionally disturbed person who has had numerous prior interactions with the police. Police confirmed that he does have a criminal history. "I'm innocent. I didn't do nothing. I'm innocent," Gonzalez said as he was escorted. Around 7 p.m. at White Plains Road and Watson Avenue in the Morris Park section, an ambulance on White Plains Road was flagged down by a pedestrian, who told them a man was riding on the back bumper of the ambulance. Police said the EMT, Yadira Arroyo, 44, who was behind the wheel got out of the ambulance. Then, the suspect apparently got into the driver's seat and started to drive away. Eventually, Arroyo grabbed the ambulance and was dragged; Gonzalez then backed up and ran her over, police said. The ambulance made a left turn on Watson and crashed into a parked car. Arroyo was a 44-year-old mother of five and a 14-year veteran of the FDNY. The EMT's partner was not physically hurt. The EMT that was struck was taken to Jacobi Hospital in critical condition, but she later died from her injuries.